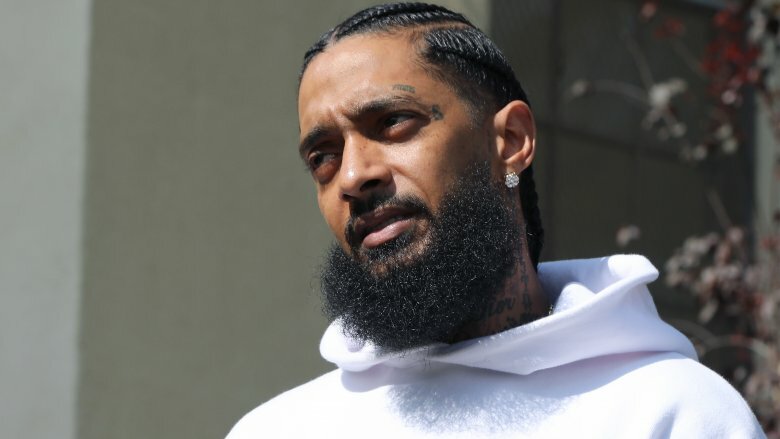 Ermias "Nipsey Hussle" Asghedom, the son of an Eritrean father and an African-American mother, is the Los Angeles-based gang member-turned-rapper who saw many of his friends fall victim to street violence. Sadly, the 33-year-old rapper's life would also come to a tragic end when he was gunned down in front of his The Marathon Clothing store, located in the same Crenshaw District he grew up in, TMZ reports. As of this writing, the suspect is still at large. The "Last Time That I Checc'd" artist was not just known for his music. He also made waves with his unconventional marketing strategies and his decision to invest in cryptocurrency. With his transition from recording artist to entrepreneur complete, he released his first full-length album, 2018's Victory Lap, which would turn out to be his celebratory last album and earn the father of two a much-deserved Grammy nod. The West Coast artist's promising career was cut short just as he began to receive recognition on a wider scale. While celebrities, such as Rihanna and DJ Khaled, send their heartfelt condolences to his family and his longtime girlfriend, actress Lauren London, we pay homage to his life by sharing these obscure facts about the multi-talented emcee. As a child, Nipsey Hussle didn't attend school in the gritty neighborhoods in his home district of Crenshaw. Instead, he told The Fader he went to school near his mom's job in West Los Angeles. In a classroom filled with students from diverse backgrounds, Nipsey Hussle recalled his school days. "So I remember being in third grade, I had a homie that was Korean, super smart. I got another homie who was Jewish. They used to copy off my work," he told the mag. 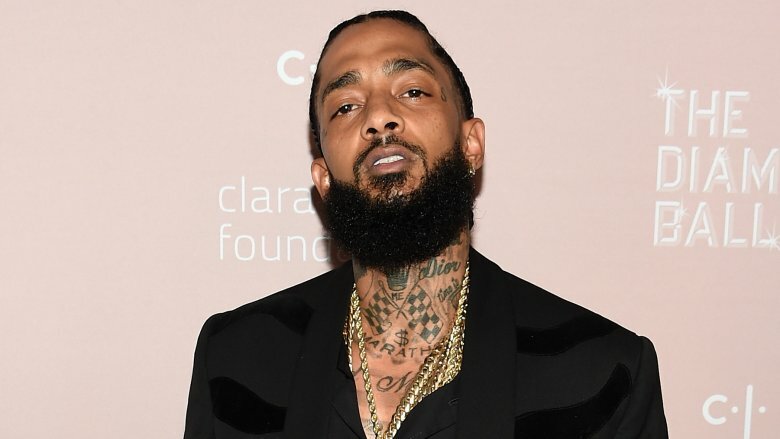 His classmates were always getting invited to take the test to be admitted into the "gifted program," but Nipsey Hussle said his teachers would always look him over, until his mom showed up at the school and demanded he be allowed to take the aptitude exam. "They tested me and ended up apologizing 'cause I tested off the charts," he told The Fader. After multiple record deals went belly-up, Nipsey Hussle decided to put the fate of his music career in his own hands by launching his own label, All Money In, in 2010. Being at the reins of his own company allowed him to get creative with the way he brought his music to the masses. He released his 2013 mixtape, Crenshaw, at a price point of $100 each in a tactic he dubbed "Proud2Pay." Surprisingly, he successfully sold 1,000 copies of the album in one day, according to Forbes, and he received a ton of support from one artist in particular: Jay-Z (pictured, left), who purchased 100 copies. With the success of Crenshaw, Nipsey Hussle followed the same blueprint for his follow-up mixtape, Mailbox Money, which he priced at $1,000. He sold 60 copies, according to VladTV. He admitted he was shocked by how many people purchased the mixtape for songs that "realistically, you could download for free," he told The Guardian. With the help of his equally entrepreneurial brother, Samiel Asghedom, Nipsey Hussle put a plan together to open a retail space. The Marathon Clothing Store — the same store Nipsey Hussle was ruthlessly gunned down in front of — not only served as a hub for the artist to sell his own merchandise, but it brought more jobs to the poverty-stricken community. The rapper would frequently employ people "he grew up with" or those "fresh out of prison" who couldn't get jobs, Asghedom told UPROXX. Nipsey Hussle didn't stop with his clothing store, either. He announced another venture, Elite Human Hair, via Instagram in October 2016. He told Complex there was a "learning curve" since he had never worked in that industry, but he added, "It's doing well. It's paying for itself; we makin' profit, it's paying for the employees. We learning." One of his biggest business-related accomplishments was a co-working space he co-owned called Vector90. The members-only building offers short-term leases and office space for entrepreneurs on the top floor, and a lower level STEM program that's "open to local children's organizations and individual families," according to the Los Angeles Times. When Nipsey Hussle told VladTV in 2009 of the Top 5 female entertainers he would "smash," actress Lauren London made the list alongside Beyoncé, Halle Berry, Ashanti, and Kim Kardashian. The rapper was apparently smitten after seeing London in the cult classic film ATL. He added that she "just had a good look, she was looking fly in the pool scene, lip gloss poppin' and all that," before advising London to "holla" at him. They met in 2013 and started following each other on Instagram, according to a February 2019 GQ profile. They welcomed their son, Kross Asghedom, in August 2016, blending their families, which included the rapper's daughter, Emani Asghedom, from a previous relationship, and London's son, Cameron Carter, whom she shares with rapper Lil' Wayne, according to CNN. 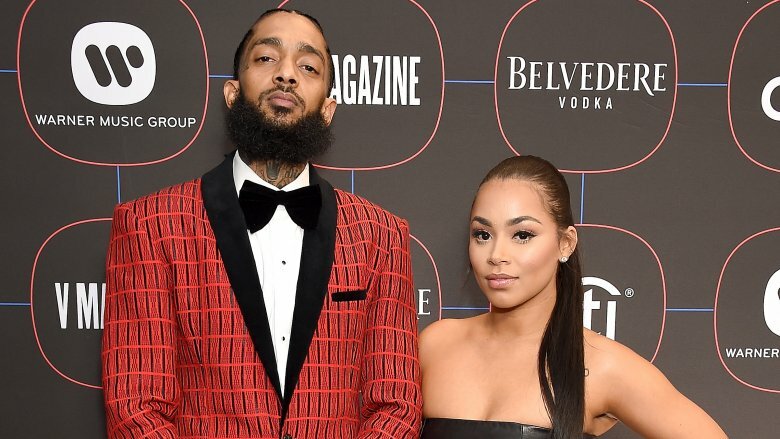 Nipsey Hussle and London briefly broke up in November 2017, according to VladTV, but by December 2017, they'd reconciled. London even made a guest appearance in his "Rap N****s" music video. He would go on to refer to her as his "wife" while chatting with TMZ, though he and his dream girl never married. 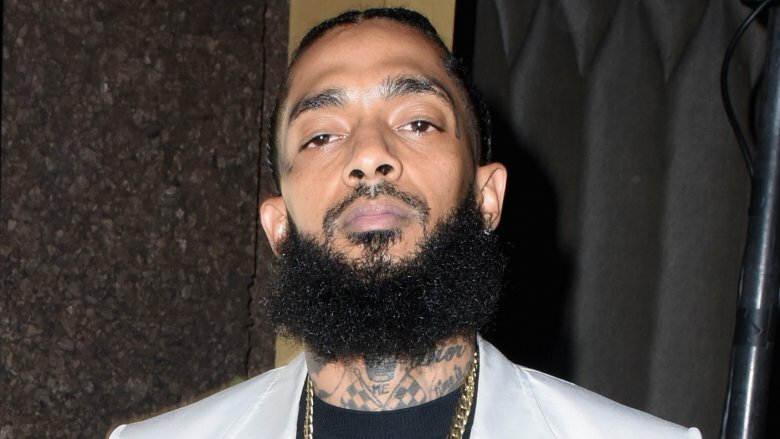 Prior to his murder, Nipsey Hussle appeared to be surrounded by traumatic and devastating events. At the rapper's March 2012 concert at The Clubhouse nightclub in Tempe, Ariz., 13 people were allegedly shot outside the venue while waiting to see the rapper perform, according to CNN. Thankfully, no one was killed. Two years later, in January 2014, he was performing in Chicago when "shots were fired around the vicinity of his tour bus," reported All Hip Hop. 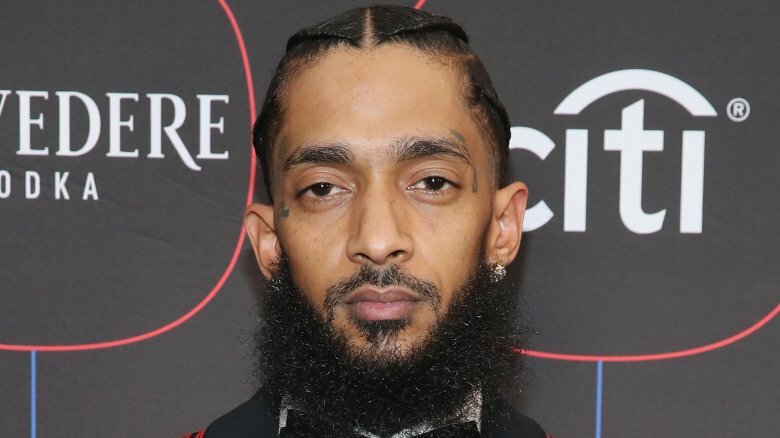 Nipsey Hussle wasn't injured, but the website reported that a "member of his crew was stabbed," though his camp refuted that claim. The rapper was also captured in a video shared by VladTV slapping a parking attendant outside of the BET Awards in June 2018. 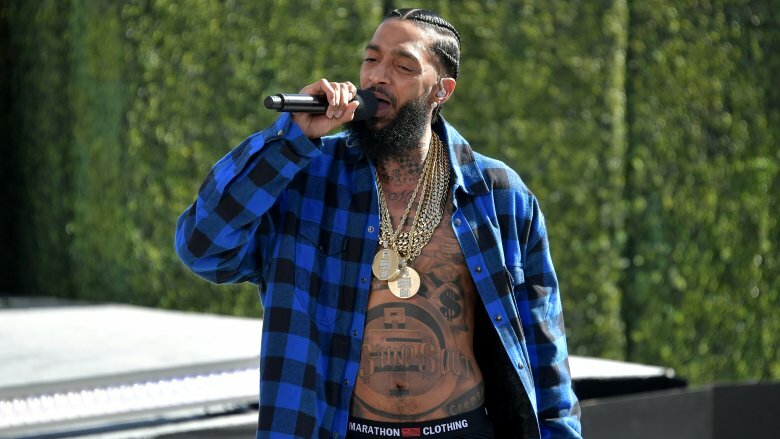 Less than a year later, in February 2019, a man was wounded during a drive-by shooting outside of the rapper's album release in Los Angeles, according to HipHopDX. Nipsey Hussle told VladTV that he was the only one in his family who decided to join the Rollin' 60s gang. When he was jumped in (a term used for a gang initiation), it was during a time when the streets of the Crenshaw District were rife with violent activity. He would later tell Africa Is a Country, "None of my peers survived." 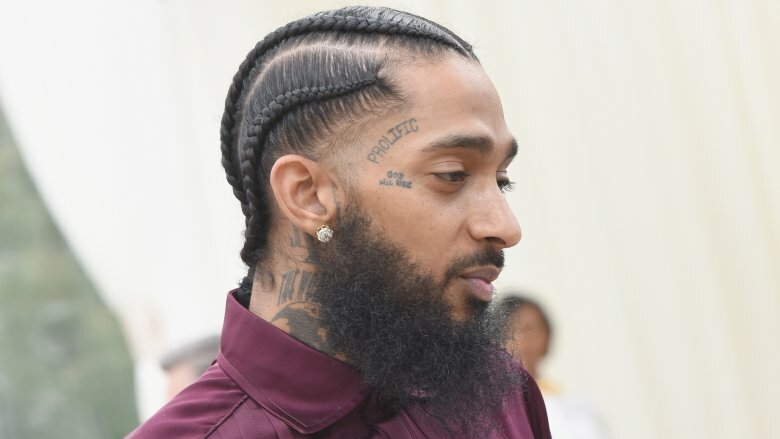 With his fellow gang-bangers getting locked up on felony charges or, worse, dying to gun violence, Nipsey Hussle declared he was one of the lucky few to make it out "mentally stable and not in prison and not on drugs." Seemingly escaping that lifestyle relatively unscathed is the reason he named his 2018 album Victory Lap. "When I reflect on it, it's unbelievable," he told NPR. "It's gotta be evidence of a divine presence, because it wasn't that I'm just the smartest dude or just wiggled my way through. It had to be a calling on my life and I started to see that." Remember when we mentioned how "gifted" Nipsey Hussle was as a student? 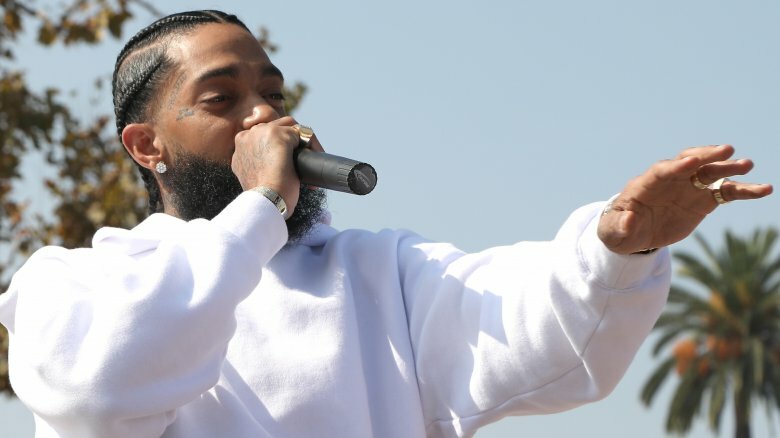 That may be an understatement because according to the Los Angeles Times, Nipsey Hussle also attended computer auctions while growing up. After collecting enough parts, he learned how to "build a PC from top-to-bottom." His love for tech and his penchant for putting things together would come in handy when he became serious about making music. Because he couldn't afford to pay for studio engineers to record his music, he taught himself how to use the software. "Just growing up, being an '80s baby that grew up in the '90s, technology was a part of culture, so I was always interested in it," he said. That tech vibe is also the foundation of his Los Angeles-based The Marathon Clothing store. It was deemed a "Smart Store" "where customers can purchase merch and use an app to preview exclusive content from the West Coast rapper," reported Billboard. Not only did Nipsey Hussle have street smarts; he had book smarts, as well, thanks to his intense love for literature. The knowledge he was able to soak up from some of his favorite books actually helped him with his ingenious business tactics. In an interview with HipHopDX, the rapper revealed that a piece entitled Contagious by author Jonah Berger "inspired the $100 mixtape concept." The rapper said he read so much that he could become "a book addict at times." As with any smart businessman, he parlayed his passion for literature into yet another business opportunity in December 2017, when he announced the release of his The Marathon Book via Instagram. With only 1,000 copies made at a price of $500 each, the autographed book included "never before seen photos, handwritten lyrics sheets, [and] a forward written by the emcee," reported The Source. 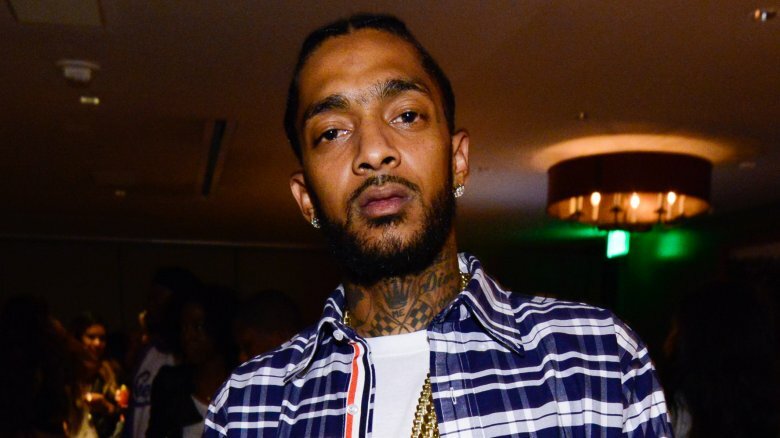 According to The Guardian, Nipsey Hussle was once busted for breaking into his school's computer lab, though he denied committing the crime. He wound up dropping out of school because of the incident, and by the time he turned 14, he had moved out of his mom's house and was living with his grandmother, he told VladTV. He viewed joining the Rollin' 60s Crips gang as an entrepreneurial opportunity, telling VladTV that his generation of Crips put their neighborhood "on the map in terms of like hustling and business." As he progressed in the music industry, he went from running the streets with his gang to being at the forefront of bringing peace to the streets. In fact, the rapper had scheduled a meeting with the Chief of the Los Angeles Police Department, Jay-Z's Roc Nation entertainment company, and police commissioner Steve Soboroff "to talk about ways he could help stop gang violence," Soboroff wrote, in part, in a tweet. 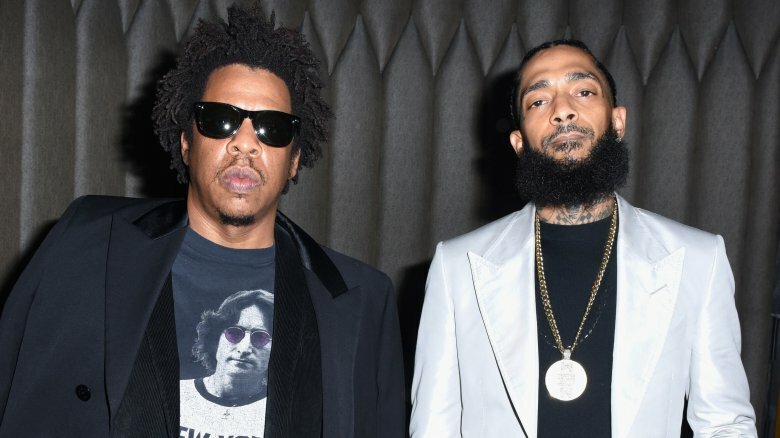 Sadly, Nipsey Hussle was killed the day before the meeting was set to take place. Nipsey Hussle was much deeper than the lyrics that effortlessly flowed in his rhymes. He was a hip-hop maverick and street crusader who was killed on the same streets he tried so desperately to change for the better. He will be dearly missed by his legions of fans in the music world and beyond.